Our organic Banana™ paper cover/ card stock are made from combining tree free agricultural bio-products coupled with 100% post consumer content. Size 8.5 x 11 Banana™ Paper 200 grams. Our organic banana papers are made from combining tree free agricultural bio-products coupled with 100% post consumer content to create a beautiful paper that is laser and printer compatible. Both the agricultural by-product of the plantations and the post consumer paper create serious solid waste problems worldwide--help combat both with these tree-free papers. Post consumer (PCW) - paper that has been used by consumers and collected through various recycling programs. It is also Process Chlorine Free (PCF) - paper has no bleached, chlorine or chlorine derivatives. A percentage of each sale goes towards an orphanage in San Jose Costa Rica.Environmentally preferable — contains 10% Banana Fiber 100% post consumer recycled content.Trouble-free printing in your copier or in your inkjet or laser printer. 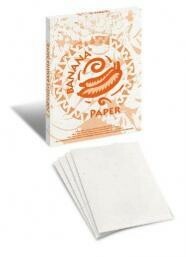 Acid-free banana paper won't yellow or disintegrate over time. Our banana paper cover/card stock sold individually in 50-sheet reams. • Dimensions: 8.5 x 11 • Sheets: 50 sustainable tree-free paper sheets• Paper Type: Banana Paper• Paper Weight: 210 grams cover weight• Paper Process: PCF and PCW • Other Paper Details: Strong, fast-drying vellum is great for all applicationsSmooth, uncoated paper allows for rapid processing. No smearing or smudging to worry about! Your projects will dry in seconds for clear, crisp results. The artistic uncoated surface gives you true-to-life color reproduction that is sure to get noticed. Sturdy 210 grams. Better than ordinary paper, this cover stock is perfect for all types of medium-weight to heavyweight applications — especially direct mail, greeting cards and business reply cards. 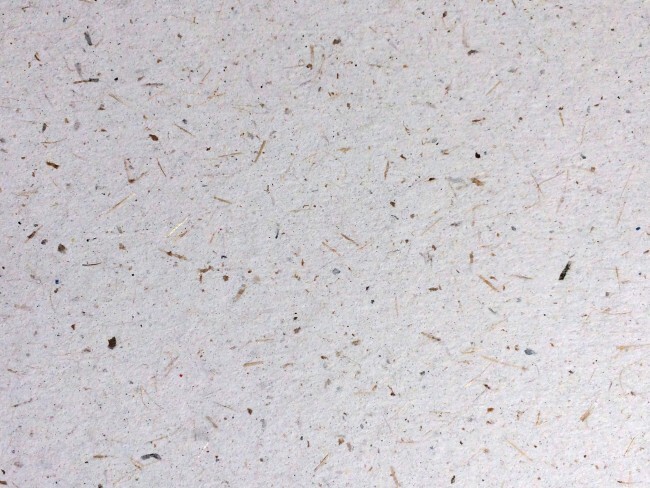 Banana Paper, Acid Free Paper.